Thanks for sharing William! Is this fair use? 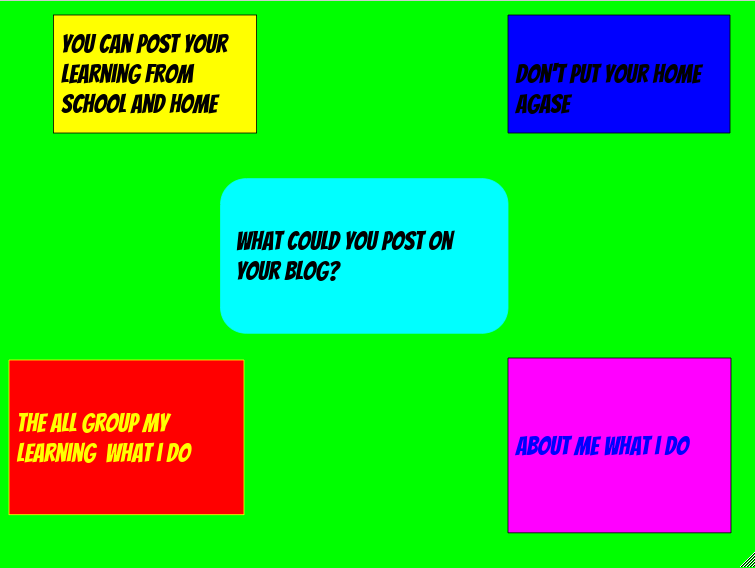 Or what to post on your blog? Remember to include a reflection too. Hi my name is Lillian same school and same classroom.I like how your telling other people what to post on your blog. This made me think of me posting up my goggle drawing for what you could post on your blog. I like your post and the info you've given us. But try to make it more attractive. Hi My name is Jayden from Papakura Central School, I like the post you have given me but next time can you put more stuf and make it more attractive. nice work, maybe you should do more slides next time,when you do work like this you could be clever.